The Chanukah menorah, also called a “hanukkiah,” is a nine-branched candleholder and one of the most common symbols of Chanukah. Just after sundown, family members and friends gather around the menorah and recite blessings as the middle candle, the shamash, is lit. It is a little taller than the other eight candles and is used to light all the other candles. It is considered to be the servant candle, lighting candles from left to right. One additional candle on the menorah is lit on each of Chanukah's eight nights. 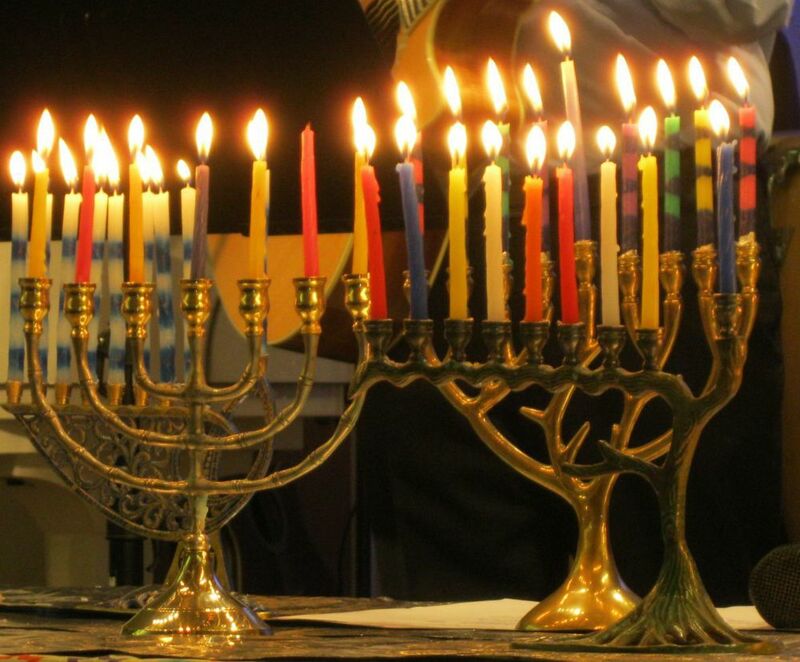 On the eighth night, all nine candles (the 8 Chanukah candles and the shamash) are lit. On nights after the first, only the first two blessings are recited; the third blessing, called “she-hekhianu” is only recited on the first night of holidays. Lighting the Chanukah menorah is an important part of celebrating this Jewish holiday. According to the Hanukkah story, once Jewish revolutionaries had retaken the Temple from the Syrians they wanted to rededicate it to God and restore its ritual purity. Eight days worth of oil were needed to complete the ritual purification, but they were only able to find one day's worth of oil. They lit the menorah anyway and miraculously, the oil lasted for eight full days. The menorah reminds us of this miracle of the Chanukah lights. First candle lighting of the Menorah for this Chanukah was on the evening of Thursday, November 27th, 2013. Candle lighting is each evening following that until the evening of Thursday, December 5th. Check back daily for more Chanukah traditions!